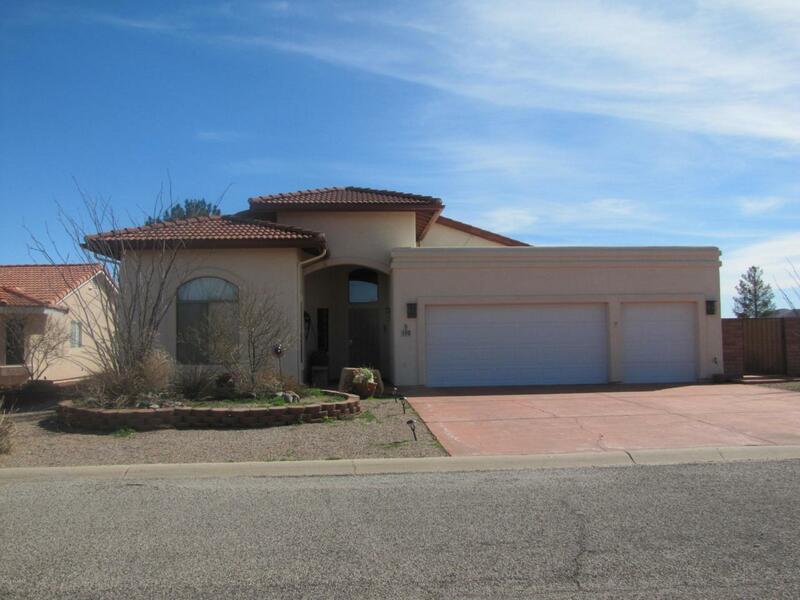 Beautiful 3BR/2Ba home with in-ground saltwater pool and great view of Cochise Stronghold. 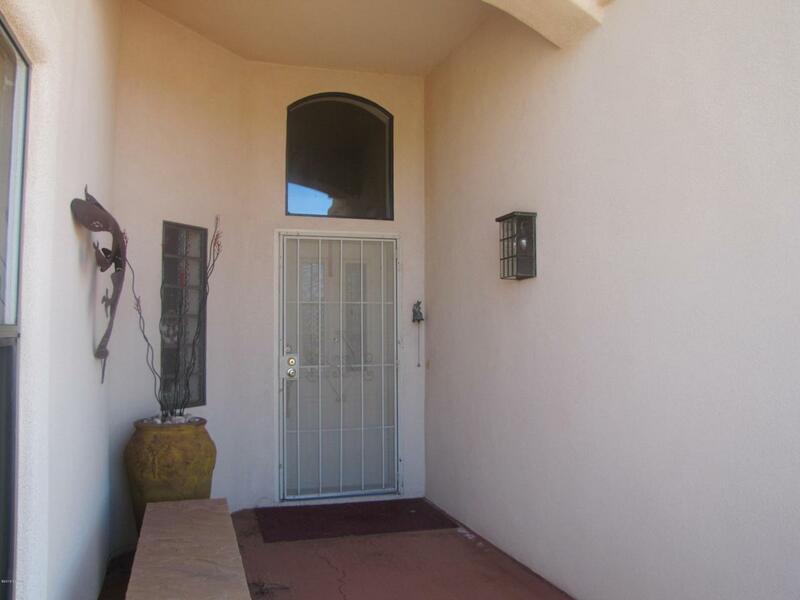 Roomy entryway with guest BRs and Ba as enter house. MBR suite has sliding door onto back patio + French doors to atrium for your morning coffee. MBa has dual vanity and walk-in closet. Laundry room off foyer into MBR then into garage, with separate overhead doors for cars + smaller car or golf cart. Vaulted ceiling in LR with plant shelves & window overlooking backyard and pool. Sunny open floor plan for LR, dining area & kitchen with window over sink. 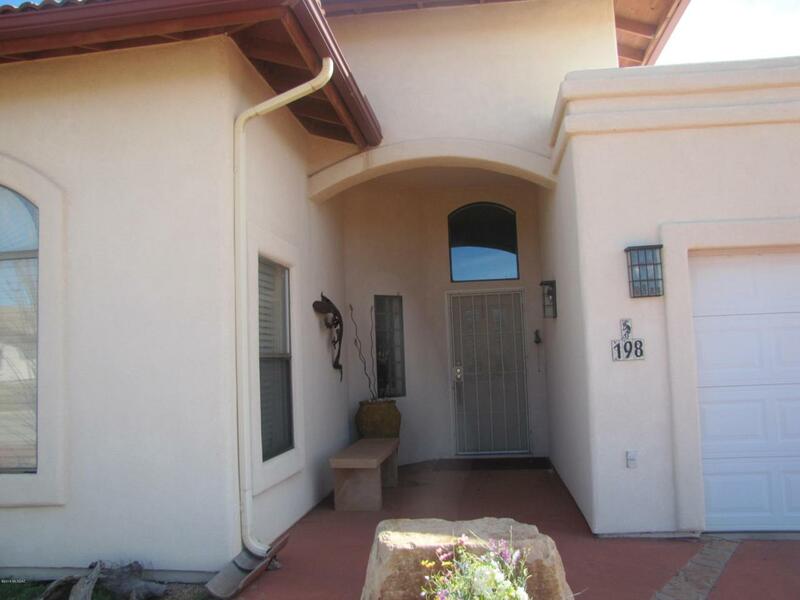 Thru French doors from dining area into AZ which opens onto covered tiled patio and swimming pool. Backyard surrounded by brick wall yet still able to see surrounding mtns. 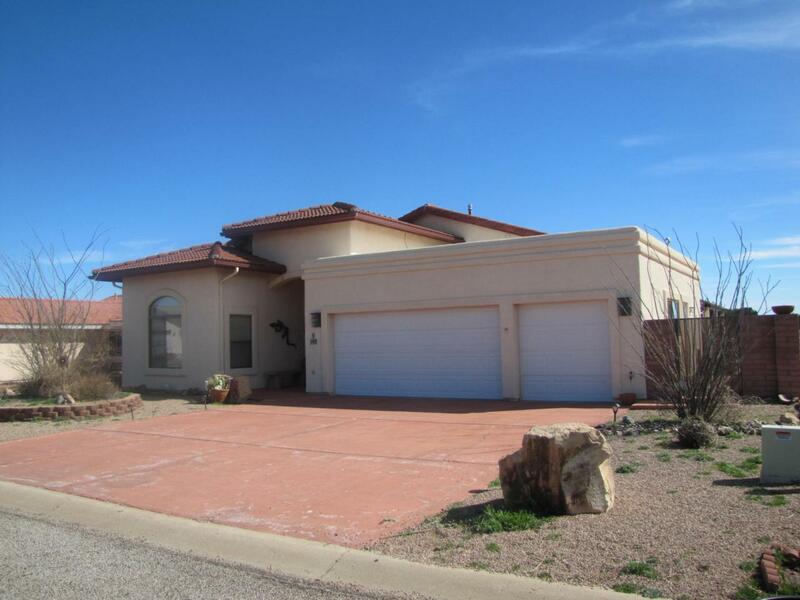 Located in village of Sunsites with amenities + easy access to I-10.